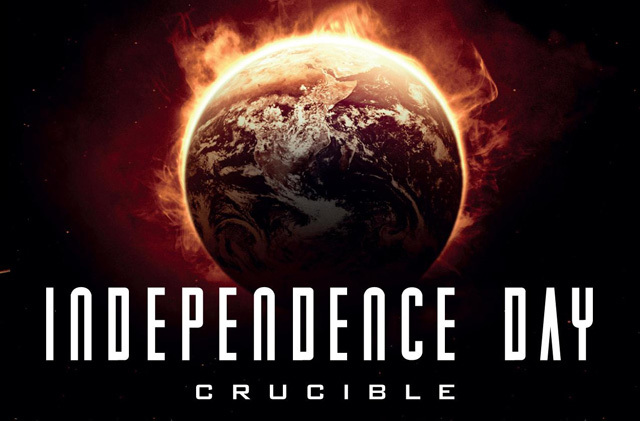 INDEPENDENCE DAY: CRUCIBLE Review | Warped Factor - Words in the Key of Geek. Matthew Kresal checks out the official prequel novel to Independence Day Resurgence. It's hard to believe that it has been two decades since Independence Day came to cinema screens and became an iconic film of the 1990s. Now we're on the brink of a sequel, set twenty years on from the events of that film. Yet those, like myself and probably you on the other side of the screen reading this review, might wonder what happened in all those years. 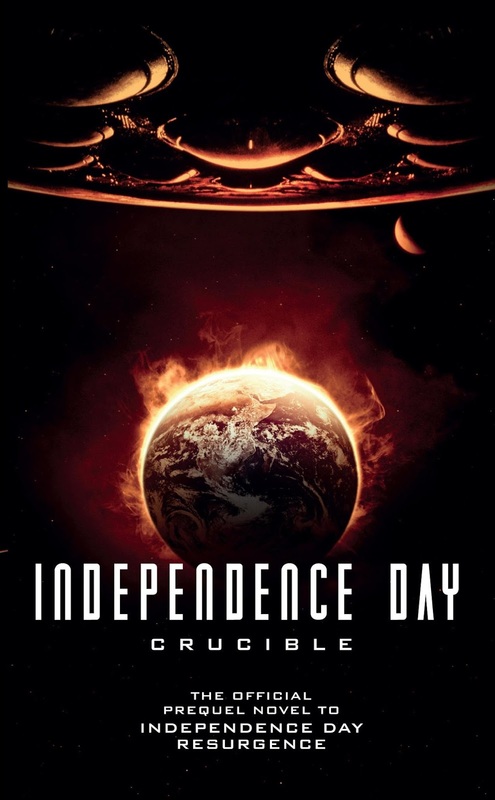 Well we've got an answer in the form of Crucible, Greg Keyes novel that fills in much of that time period. Let's be honest, going into this novel: It's setting up the new film and that is it's main goal. Starting out in 1996 before moving forward incrementally towards 2016, it re-introduces characters from the original film as well as characters from the new film. It's the story of a world rebuilding in the aftermath of “the Fourth”. Characters who aren't in the new film but were in the original make appearances large and small ranging from Will Smith's Steve Hiller to Robert Loggia'a General Grey and Margaret Colin's Connie Spano. Smith's character is especially interesting to read about given his noticeable absence from Independence Day Resurgence and the novel shows exactly why that it is. Characters appearing in both films such as Jeff Goldblum's David Levinson and Bill Pullman's President Whitmore are present and correct with Keyes perfectly capturing them in prose. Crucible also expands on the world of the original film while also setting the stage for the new one. We get to see some of the events from the perspective of people on the streets as well on a larger international stage. There are characters from China and the UK and one of the novel's subplots is set firmly in Africa. The African setting is rather neat as it's something we only got to glimpse of in the original film. Not only does it set up the new film, it expands upon the original as well so if you're a fan of Independence Day and wondering what you're favorite characters have been up to, you're in for a treat. Which leads to its narrative. If you're expecting an action packed thrill ride, you might be in for a surprise. This is a very talky and exposition heavy narrative by the nature of what it is. It's far more about exploring the aftermath of the original film and how the world works not just to rebuild but also arm itself ahead of another invasion. Keyes' prose keeps the book ticking along but it might not quite be the narrative you're expecting. Which isn't to say Crucible doesn't have action. Early parts of the novel feature Will Smith's Steve Hiller in action and the African set sections of the story certainly don't skimp on the action either as the invaders ground forces are taken on. Elsewhere Keyes puts the reader in the pilot's seat in a number of training exercises. All of them are perfectly readable and help keep the plot moving. While the narrative might not be quite what you're expecting, if you're a fan of the original film and/or looking forward to the new film then you'll likely enjoy this novel. It expands nicely on 1996's Independence Day while also filling out elements of the narrative that will come into play for 2016 sequel. So before the Resurgence, visit the Crucible.